Only who has registered presentation can submit abstract. Enter the Log-in ID and Password which you set at account registration, and log into the registration website. Confirm the agreement and check "Agree", then register the presentation from "Final Submission". You are allowed to revise the information registered at your presentation registration (without Speaker and Subject Classification). *Please avoid any drastic change as the program has been arranged already with the information provided upon the presentation registration. Confirm whether the abstract is correctly uploaded, then click "Register" button. The submitted PDF file can be replaced anytime during the above submission period. 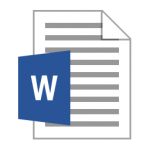 Create abstracts for presentation according to the abstract sample formats specified separately. The abstract length is limited to 1 page of A4: 210mm x 297mm. Please do not insert the page number in your abstract. Use of Arial, Century, Times New Roman, Helvetica and Symbol is recommended. The font should be embedded if you wish to use other than these recommended font types. There are no restrictions on the use of color materials for main body, figure or table. The size of the PDF file sould not exceed 3MB. Any use of compressed file, password lock or other security functions is not allowed. Please prepare the information below before registration. Also, please read Guideline carefully before registration. Please click the "Create an Account" box on the website to create your account to login to the system. *All accounts are renewed at every meeting thus your account for past meetings do not exists. Please create a new account. Confirm the agreement and check "Agree", then register the presentation from "New Submission". Once the registration is completed, Submission Number will be issued. You can modify your regstered information anytime during the above registration period for oral presentation. The registration page appears. Enter necessary information according to the instructions and examples displayed on the page. You will not be able to proceed to the next page if there are errors in the information entered. Check the instructions on the page again and enter the correct information. When you have entered all the required information, click the "Next" button. A page where you can confirm the information you have entered so far appears. If there are items that should be changed, click the "Back" button and make the necessary changes. After you have changed and confirmed the registration information, click the "Submit" button. When the registration is successfully accepted, the registration completion page appears and the Submission Number is displayd. Keep the Submission Number together with the password. After registration, you will receive an e-mail. If you do not, your registration may have failed. If you do not receive an e-mail within 24 hours, please contact Secretariat of AESJ. You can modify your regstered information anytime during the above registration period for oral presentation. If you would like to remove the presentation, you can do it from "Withdraw". Note that once you remove your presentation, you cannot undo that so please be careful. After deadline, we basically don't accept changes of presenters, changes of subject classifications, or withdrawal of presentations.